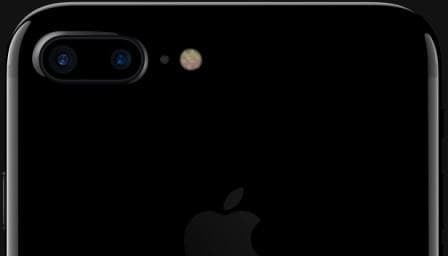 The recent iPhone 7 Plus showed the world that dual camera setup has gone mainstream. This has been a problem for Android manufactures who have to develop their own hardware to implement dual camera setup and few of them have been able to achieve it. But what if dual camera setup is implemented on the chip level by the chipset manufacturer and all the smartphone maker has to do is use the technology on their next phone. This is soon to become a reality with Qualcomm’s Clear Sight technology powered by Qualcomm Spectra. This technology mimics the human eye to capture photos in low light with less noise, more sharpness and larger dynamic range. As you know human eye consists of rods and cones. The cones capture colour in well-lit conditions and the rods capture light in low-light conditions although they are devoid of colour. The Clear Sight technology features two cameras with their own lens and image sensor and same focal length. Unlike the iPhone 7 Plus camera setup where the cameras capture the same kind of image, the Clear Sight setup forces one camera to take colour to mimic cones and the other sensor to capture black and white images just like rods which are rich in light. 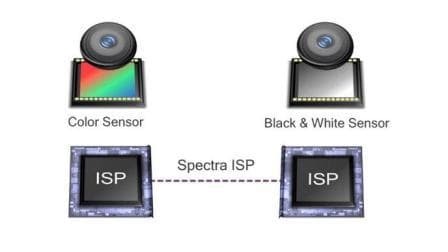 The black and white sensor is same as the colour one but its top colour filter is removed. This gives the sensor the capability to capture three times more light which is useful in low light conditions. Qualcomm claims that these black and white images are sharper and have less noise. Once the images are obtained the Spectra Image Signal Processor combines the images to produce the actual image that you see on the screen. The Clear Sight technology will be available on high-end chipsets like Snapdragon 820 and 821. This means that only high end smartphones will be getting this technology but good news here is that more smartphone manufactures can implement dual camera setup on their phones without additional effort.